Read this Psychic's latest article on the Portland SE Examiner, about the Power of Hypnosis with EFT, for Self Sabotage and more! After a near death experience she went through about 12 years﻿ ago, for some time, her ability to tune into other dimensions and to connect with other people's past & present expe﻿riences and feelings, were strengthened, to the point of becoming uncomfortable. Eventually this phase subsided, through meditation,Yoga exercises and ti﻿me, without damaging or diminishing her natural psychic abilities. If you wish to hear all details about this NDE, you can be notified when her E-book comes out, if you leave your email here, in the Contact Us Form, to be notified when it is out and you can buy it at a discounted rate.. In Santa Ba﻿rbara, she received her first Psychic Award, in Tarots and Intuitive Counseling, at the McKenzie Hypnotherapy Center of Santa Barbara, CA. Same year, she obtained a Master certification in REIKI Energy Healing and Angel Guidance and Channeling. 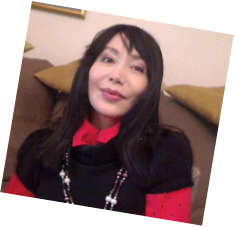 Since her goal was to learn additional empowering ways of helping people heal and make positive changes, improve their lives and l﻿earn how to be m﻿ore happy, she studied Hypnotherapy and NLP, trained by Dr. James And Dr. Lynnette Peal, at the Advanced Training Institute in Santa Barbara CA, obtaining a certification in clinical Hypnosis and Neuro-Linguistic Programming. Furthermore, she is an EFT- and life coach, and has extensively studied Quantum Physics and the Law of Attraction's teachings for several years. She is a member of the Oregon Hypnotherapy Association and Board Member of the Spiritual Foundation CWG-Center of Portland (OR). She is also a minister of the Universal Life Church. U.S. & International Copyrights © 2011-2012, the owner of this website, All Rights Reserved. No part of this content and of this website may be reproduced, stored in a retrieval system, or transmitted in any form or by any means, without written permission from the owner.